Congress proposes to adopt the Articles on this day. 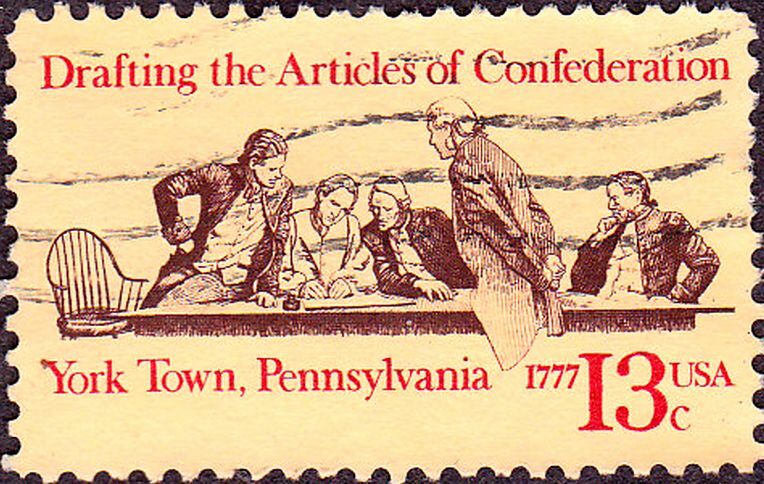 A total of 6 drafts were proposed before Congress settled on one in 1777. They sent it to the individual 13 states to ratify the Articles. The Articles of Confederation get ratified by all thirteen states after almost 4 years. The states had bickered and fought as to whether or not to ratify the Articles. The Constitutional Convention begins in Philadelphia. State delegates from all the states, except Rhode Island, including George Washington, James Madison, and Benjamin Franklin, go to Philadelphia to make a new U.S. constitution. After 3 months of debating, they finally come up with a new federal system and sign it. It is called the Constitution. The Constitution of the United States of America was signed by 38 of the 41 delegates that were at the conclusion of the convention. Today’s Pennsylvania Packet finally reveals that the delegates in Philadelphia have been writing a Constitution. They have done away with the Articles. Today, Delaware becomes the first state to ratify the Constitution. This is a big step because it means that the Constitution might be a success in America. Anti-Federalists are unhappy with the Constitution and think that it lacks a bill of rights to keep the new government from trampling on individual freedoms. So James Madison introduces a bill of rights and sends it to the states for ratification today. 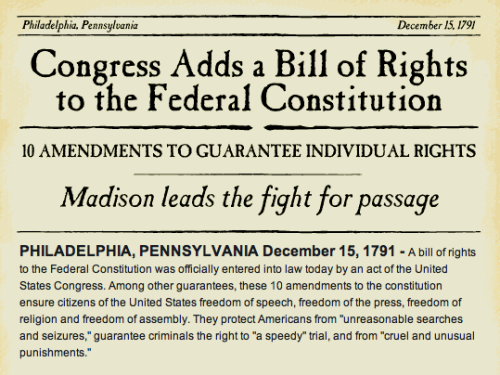 After 2 years, the 13 states agree to ratify the first 10 constitutional amendments, known as the Bill of Rights. 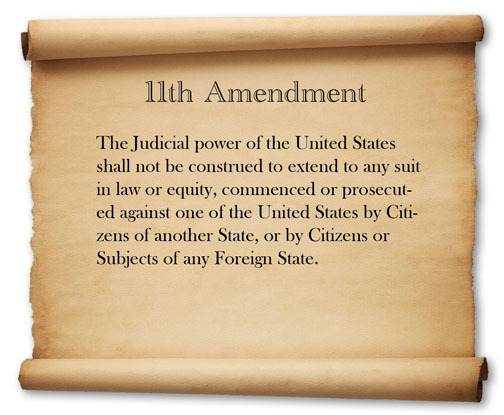 The states ratify the 11th amendment today. This amendment limited the power of the federal court. This amendment set limits on when a state can be sued. 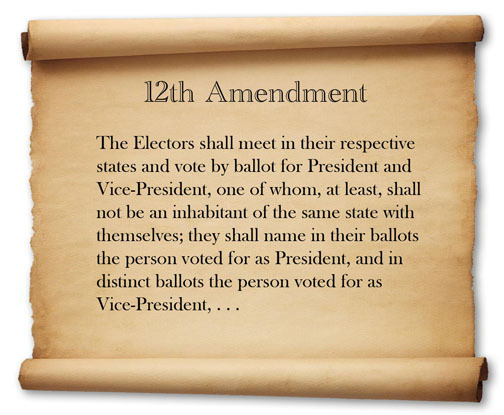 The 12th amendment gets ratified, which requires that the president and vice president to be elected together, that way if a democratic president was elected, he wouldn't have a republican vice president.